Did you know that you could make a valuable contribution to supporting native bee populations simply by planting a variety of bee-friendly plants in your garden? A number of flowers have been recorded as attracting native bees and many of these also have a long flowering period, helping to provide a supply of year round pollen and nectar. Some of our native bees prefer to forage exclusively on native flowers, while others enjoy feeding on a mix of both native and exotic blooms. For a bee-friendly garden, include a range of flower sizes and shapes from tubular to shallow open blooms to cater for the diversity of native bees that range in size from 2mm to 24 mm and have both long and short tongues. Why are native bee populations under threat? 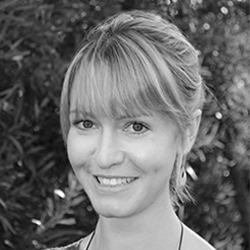 Why are our native bees important? They have been shown to be effective pollinators of many agricultural crop species. Their role in agriculture could become critical if the varroa mite enters Australia where it is predicted to decimate honey bee populations. 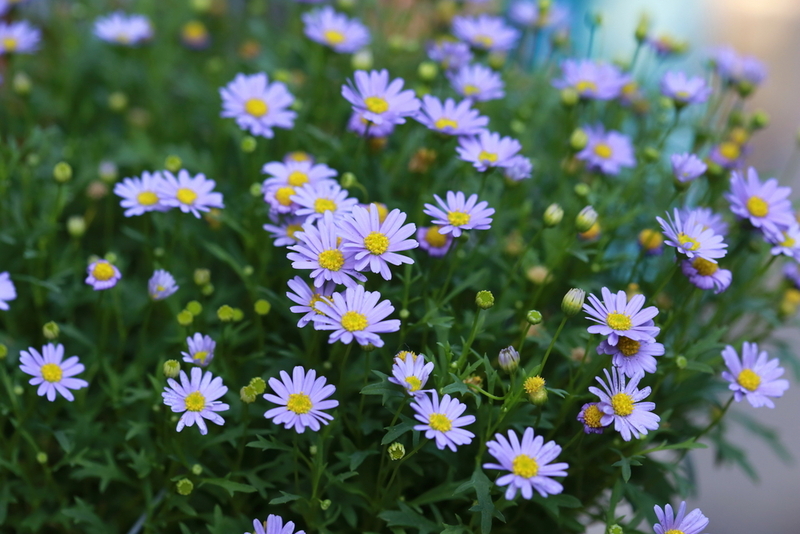 Plants from the daisy family are highly attractive to native bees and flower for an extended period of time. Stingless bees are particularly fond of cut-leaf daisies that are a hardy ground cover and grow well across most of Australia. Everlasting daisies are also a great choice. 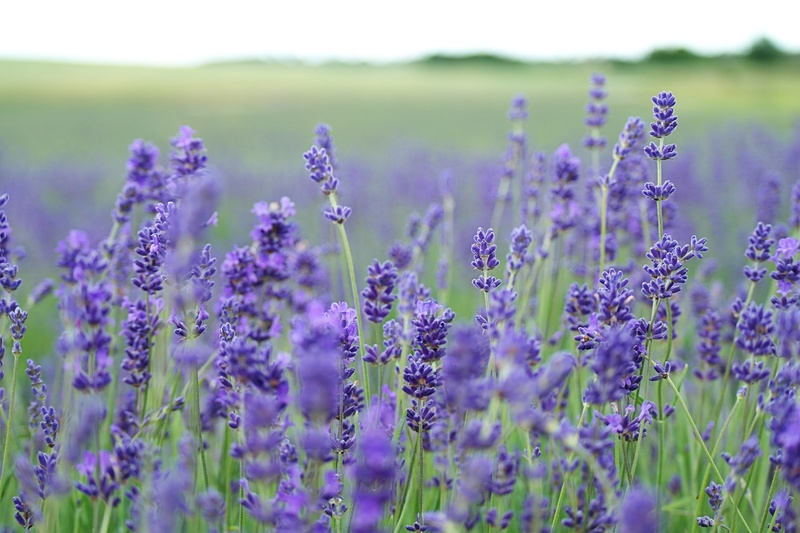 A particular favouite of the Blue Banded Bee, lavender is high in nectar and flowers all-year round. Native bees also love other herbs such as basil, thyme, sage, rosemary, lemon balm and mint. 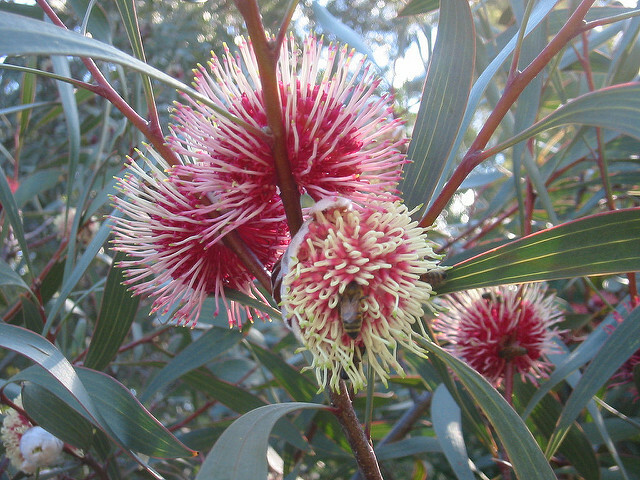 Gum blossums from trees in your local area are a fabulous source of food for native bees. If you don't have much room a ficofolia can be a good option and will delight you will an abundance of spring flowers. 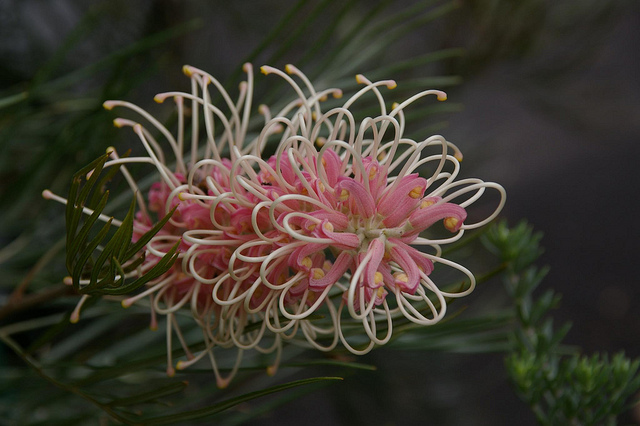 Favourites of stingless bees, pincushion hakeas have stunning spidery flowers blooming between April and August. 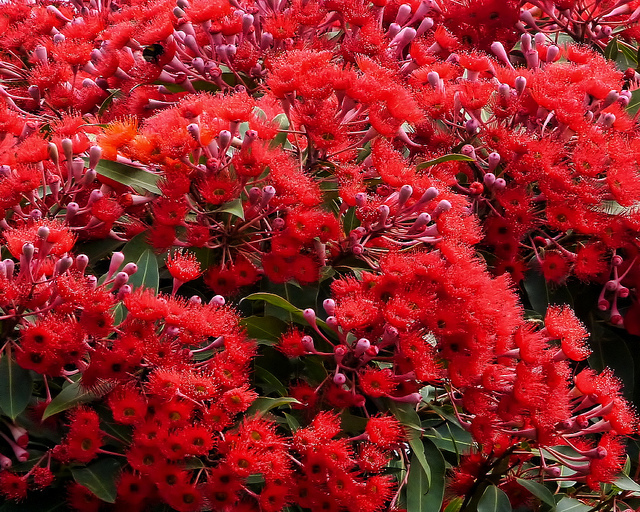 They are ornamental shrubs or trees reaching between 2.5 and 6 metres and make a wonderful edition to any garden. 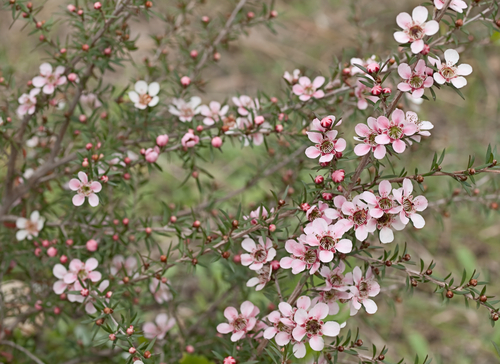 A small tree or shrub with white, pink and red flowering forms blooming in early summer. It can also be used as a screening plant and the essential oils can be used to make candles, soaps and other items. 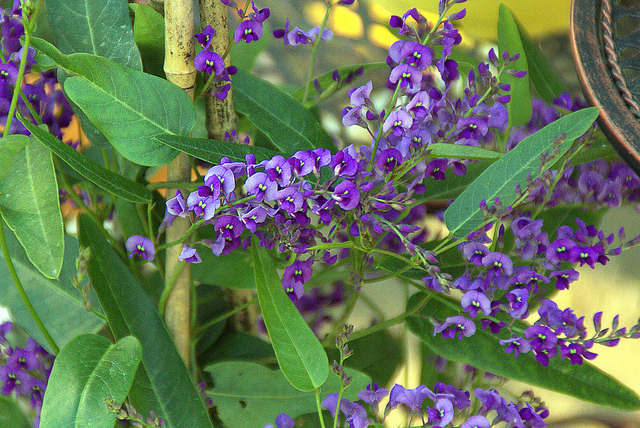 A hardy climber with leathery leaves flowering over winter and spring in a mass of dark purple flowers. Upright forms are now also available as well as a white variation. These plants come in a wide range of sizes to suit most gardens from ground covers to tall shrubs and trees. They flower most of the year and produce a high amount of nectar that also attracts bird life to your garden. Pink Surprise grows 3-4 metres tall and was a favourite of mine as a child. Sage and other members of the salvia family are particularly attractive to blue-banded bees. 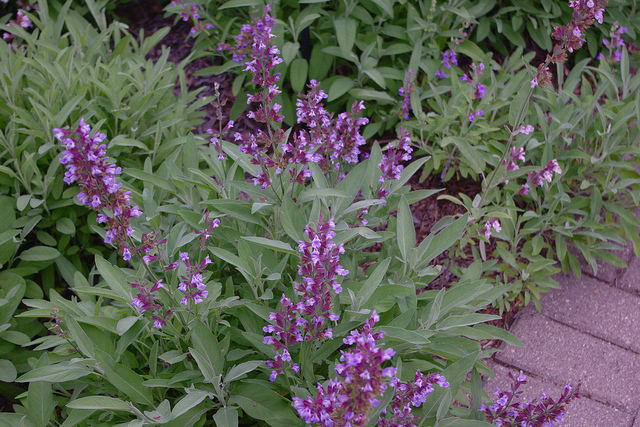 Sage will grow in a container, while the hundreds of varieties of salvia flowers will brighten up your garden with a minimum of care. Salvias also don't tend to get eaten by wallabies or kangaroos if that is a concern for you in your garden. 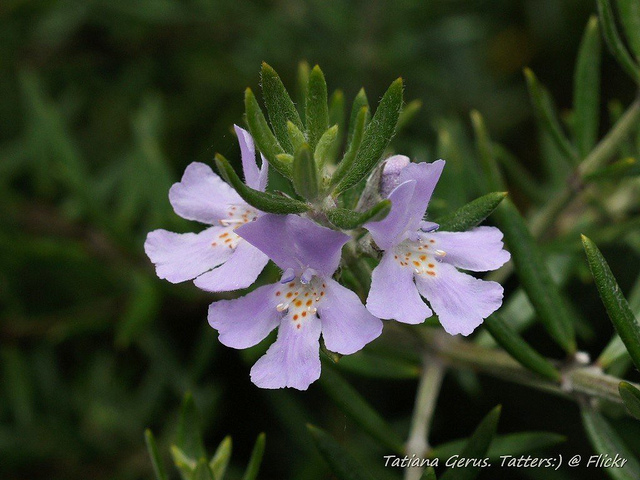 Some forms of westringia tend to be over-used in landscaping but you might be surprised by some of the more attractive cultivars that are available from native plant nurseries. The Blue-banded bee and Teddy Bear Bee love this neat, hardy shrub that flowers most of the year. Have you noticed any native bees in your garden? Keep an eye out for how many different looking bees you can see both in your garden and in bushland. And have fun planting your bee friendly garden. These plants make excellent garden specimens, hedges and sceen-plants and range in size from 50cm to 4 metres tall. They prefer full sun and moist soil, but will also tolerate drier conditions. 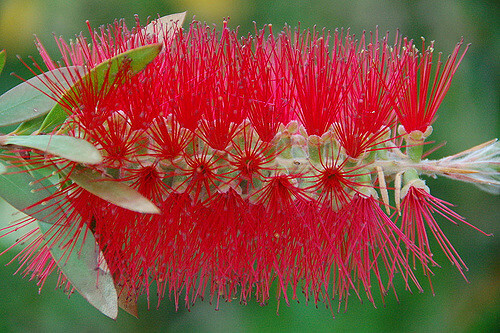 Native birds will also enjoy feasting on the nectar in these blooms over spring.